Traditional Asian Wontons with an American Twist! These soft, yet crispy wontons are filled with bacon and leftover mac n’ cheese. Perfect for a snack or game day appetizer, these wontons are a unique way to transform those boring leftovers! 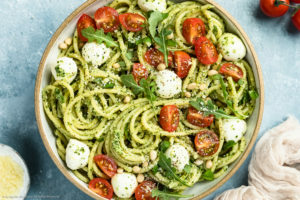 Leftovers can be mundane and boring. Often people end up just tossing them into the circular file (aka the trash can)… which makes me cringe for many reasons. Among them being, it is a huge waste of money and there are many people starving in the world. But leftovers don’t have to be viewed in that ho-hum type manner. 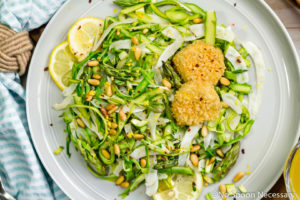 With a little creativity they can become a completely new dish that is exciting, delish, and will make you want to “fork yourself” it’s so good (had to say that). On this blog I will hopefully inspire you to do just that. These mac n’ cheese wontons are my first, of many to come, posts showing you it is possible to transform your leftovers. , that way I could play with more ideas on transforming it into a new dish. Viola! These were ONE of my ideas. They are friggin’ STEEEEEE-LLLLAAARR! Boy and one of his co-workers went buck nutty over them. 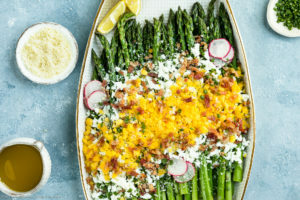 I made them two ways – steamed and baked. So, choose whichever method you prefer, or try both! I hope you enjoy! 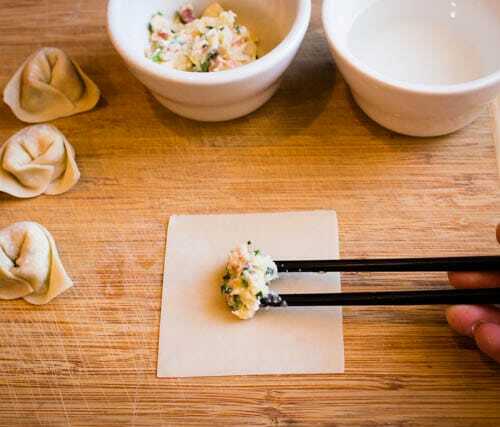 I’m not going to give a prep or total time because it is contingent on how fast you can form the wontons. As well, i am not including a cook time because it depends on the cooking method you choose. 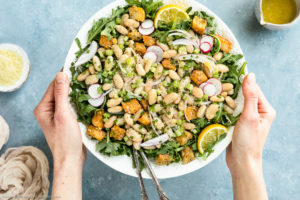 Serve garnished with Chives, Sesame Seeds, and Sriracha. 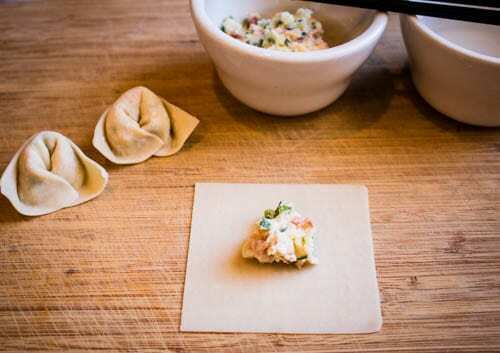 Lay a wonton wrapper on a clean, dry work surface. Place 1 teaspoon of the filling in the center of the wrapper. Don’t over-stuff or you will not be able to fold and form them. Moisten the edges of the wrapper with water, using your finger. This will be like a glue, keeping the wonton together. Fold the wrapper in half, creating a rectangle, pressing out any air as you fold. 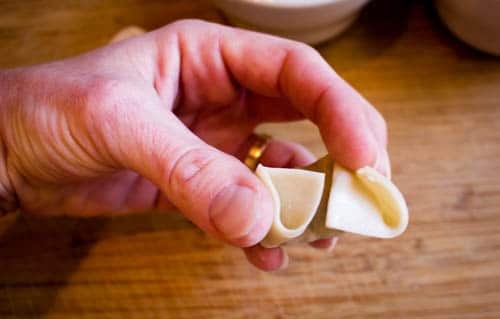 Turn the wonton over and fold the left and right sides in and together so they overlap. 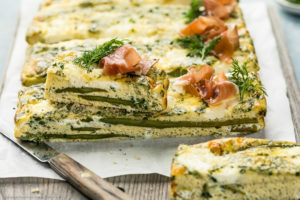 Use your finger to wet the portion where the sides meet. Pinch together to seal closed. 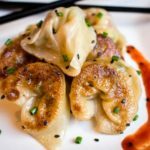 Traditional Asian Wontons with an American Twist! These soft, yet crispy wontons are filled with bacon and leftover mac n' cheese. 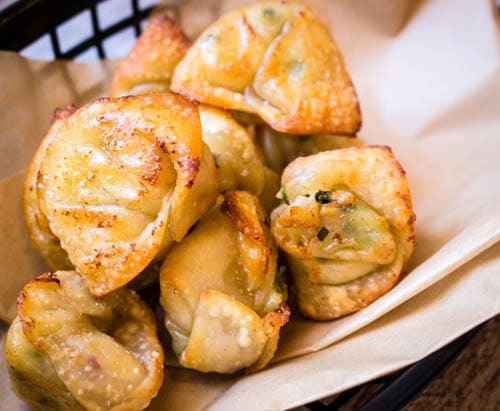 Perfect for a snack or game day appetizer, these wontons are a unique way to transform those boring leftovers! Combine all ingredients, aside from wrappers obviously, in a medium sized mixing bowl. 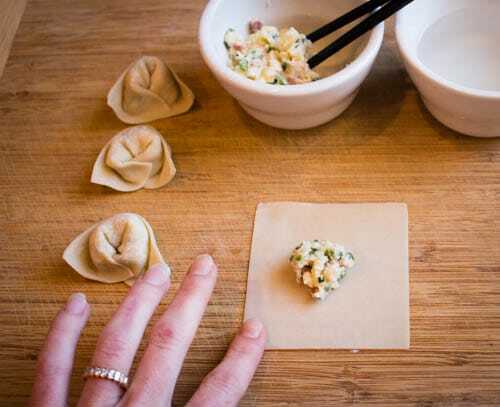 Place wonton wrappers on a clean work surface and cover with a damp paper towel as you are filling and wrapping each wonton. 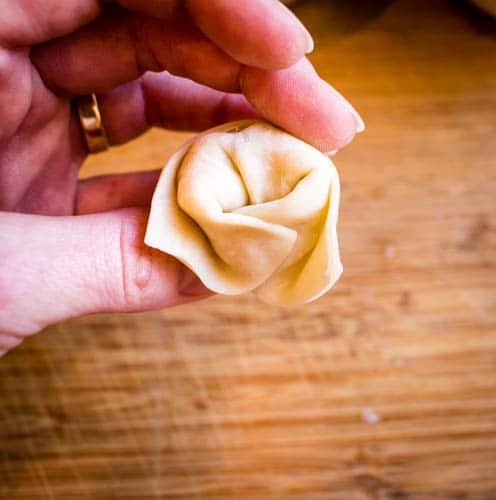 Fill each wonton skin with 1 teaspoon of the filling and wrap creating a nurse’s cap. As you finish folding each wonton, place it on the prepared baking sheet and cover loosely with a slightly dampened kitchen towel to prevent them from drying out. 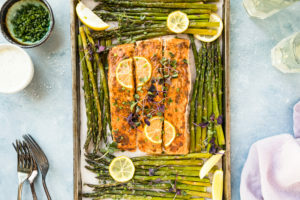 TO PAN FRY: Preheat the oven to 200 degrees F. Heat a non-stick sauté pan (with a tight fitting lid) over medium high heat. Add 1 Tablespoon of Oil to the pan. Working in batches to not over crowd the pan, add wontons, flat side down. Fry until the bottom is golden brown, about 1-2 minutes. Pour enough water in the pan to cover the bottom of the wontons by about 1/8th’’. Cover the pan with a tight fitting lid and allow to steam for about 5-7 minutes, until almost all of the water has evaporated. Remove the lid and continue to cook another 1-2 minutes. 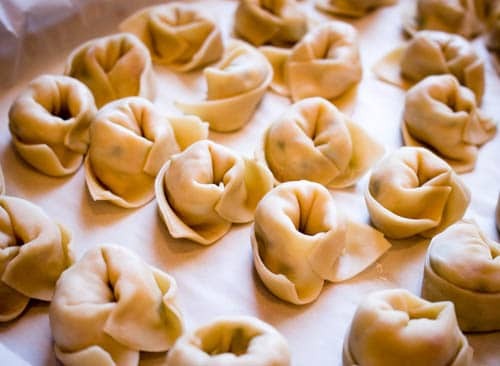 Remove wontons and keep warm in the oven as you continue cooking remaining batches of wontons. 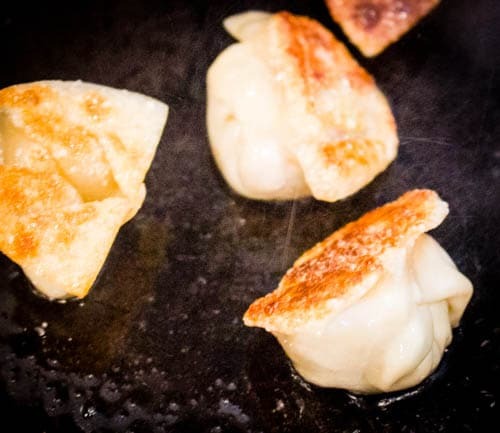 TO BAKE: Preheat the oven to 425 degrees F. Place wontons on a lightly greased baking sheet. 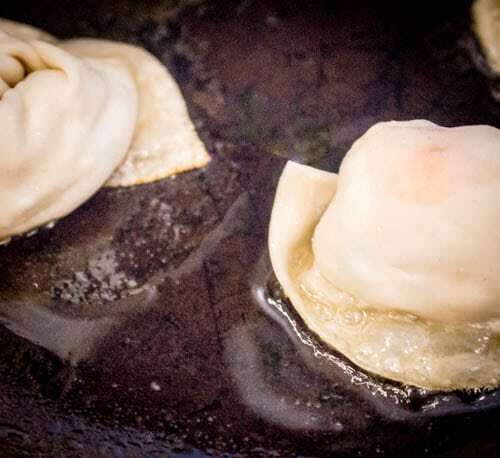 Brush the wontons, lightly, with Olive or Sunflower Oil. Bake for 12-15 minutes or until golden brown delicious. 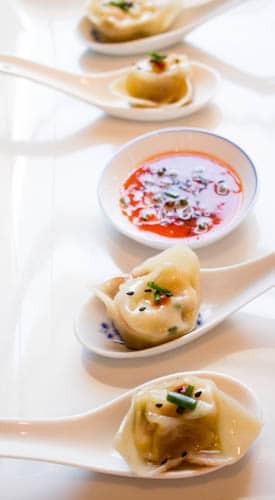 -The wontons can be prepared, covered with plastic wrap, and refrigerated for several hours. Just be sure to let them sit at room temperature for 30 minutes before pan frying or baking. -If you have any extra filling after stuffing and folding the wontons, grab a fork and reward yourself for your hard work by digging in. 1. 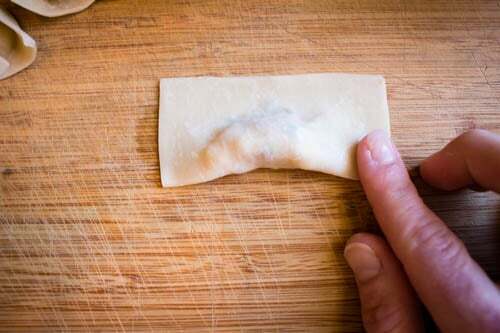 Lay a wonton wrapper on a clean, dry work surface. Place 1 teaspoon of the filling in the center of the wrapper. Don’t over-stuff or you will not be able to fold and form them. 2. Moisten the edges of the wrapper with water, using your finger. 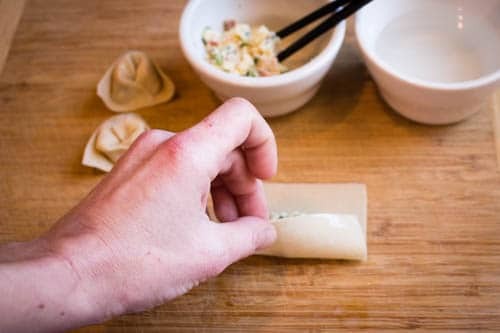 This will be like a glue, keeping the wonton together. 3. Fold the wrapper in half, creating a rectangle, pressing out any air as you fold. 4. 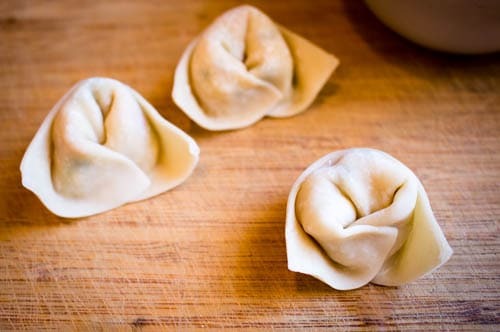 Turn the wonton over and fold the left and right sides in and together so they overlap. 5. Use your finger to wet the portion where the sides meet. Pinch together to seal closed. Thank you so much! They were So Soooo good!!! Thank you for checking out my site! 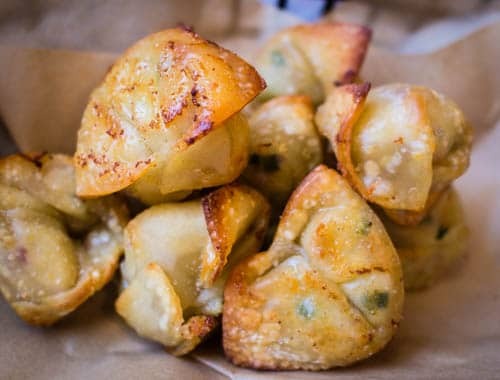 If you make these creepily addictive little wontons, lemme know how they turn out.. or if you have any suggestions to make them better!